Emmett Moriarty is the founder and managing director of Ennismore. His background is in health care investment and M&A, programme management and performance improvement. He has worked at board level in more than 40 countries. Emmett is the former Global Health Sector Leader for the International Finance Corporation (IFC), the private arm of the World Bank Group. There he played a leadership role in determining global health care investment strategy and in appraising investment opportunities. He was frequently requested to take a board seat on investee companies. During this time IFC grew to become the world’s largest investor in emerging markets health care and achieved record investment and social returns. From 2012-13 Emmett served as Vice-President of Medsi Group, Russia’s largest healthcare company, during a crisis period. In this role he managed Medsi’s largest division accounting for 70% of company revenues and 2,900 staff. During this time, the division achieved double-digit revenue growth and the introduction of international quality standards. Emmett’s early career was in senior management at a London teaching hospital, followed by 'Big 4' consulting. He led the Performance Improvement division of the UK’s largest health care practice, managing the turnaround of health care organizations in the private and public sectors. Clients included some of the world’s largest health care organizations and financial institutions. 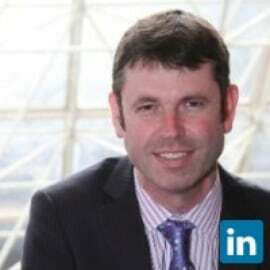 Emmett holds a Masters Degree in Management Sciences and is a Fellow of the UK Chartered Institute of Management Accountants.